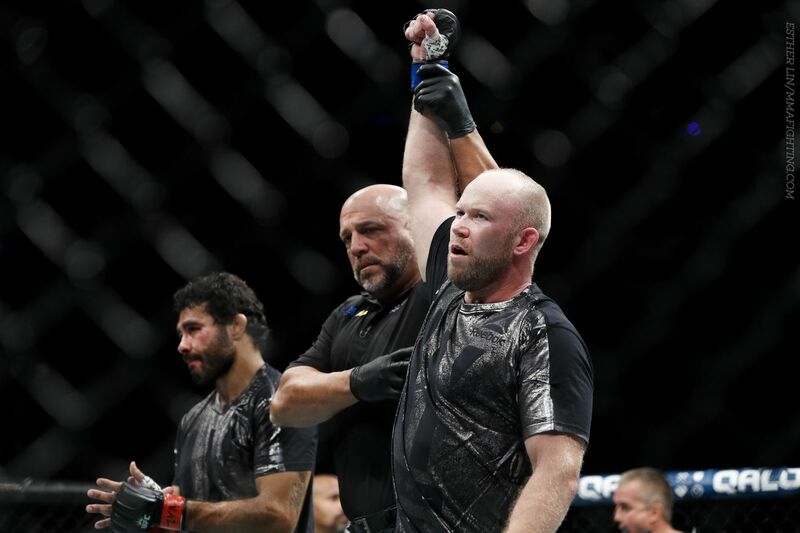 Sometimes, Tim Boetsch ends up on the wrong end of things in his fights. Sometimes, he dishes out carnage. Either way, his fights are usually memorable. Saturday night, things went the veteran middleweight’s way. The Maine native put on a violent display at New York’s Madision Square Garden, earning a knockout victory of Rafael Natal at UFC 205. The time of the stoppage was 3:22 of the first round, giving him his 11th UFC victory in his 20th UFC fight. Boetsch clipped Natal with the first punch of the fight and opened a cut over his left eye. Boetsch kept on the pressure and landed a big, looping right hand which landed right on the button and dropped Natal. Three punches later, the fight was waved off. Natal (21-8-1), a Brazilian based in New York City, has dropped two straight fights. UFC 205 highlights: Watch Vicente Luque finish Belal Muhammad – Knockout!